During my life I was assigned several missions: dentist, professor, researcher, manager; all of them were pleasant and full of challenges, with the bonus of knowing and living together with special people. I am proud to be invited to present this book to the world of Dentistry. The experience at the Hospital for Rehabilitation of Craniofacial Anomalies (HRAC-USP) gave me the opportunity to follow the career of several professionals, from undergraduate training up to the highest levels of research and university life. Few feelings are more thorough than following the personal and professional growth of people we respect; and the better reward for a professor is to see the shine of enthusiasm and curiosity in the eyes of young professionals, thirsty for knowledge; for a manager, to follow the vibration with which the team conducts its work. I have learned more than I have taught. At HRAC-USP, the daily routine was always filled with technical and human challenges. The daily care for individuals with different disabilities provides professionals with a rich source of research inspiration, besides demands yet to be explored. It is enough to be willing. The editors Gisele da Silva Dalben, Marcia Ribeiro Gomide and the contributor Beatriz Costa are examples of this thirst for knowledge and clinical sensitivity. They are three great researchers who were shaped at the Pediatric Dentistry clinic of HRAC/USP, where they sharpened and deepened their skills on the needs of patients requiring differentiated attention and treatment, respecting their exceptional birth conditions. Part of the long years of study, investigation and practice of these three brilliant researchers is present in this book, which surely enriches the dental management of patients with craniofacial anomalies. The book gathers experiences, knowledge and tips that the contributors kindly offer to anyone interested in this field. A part of their lives, all of them built inside Pediatric Dentistry. The years have been generous for me, giving me the opportunity to publicly celebrate the scientific maturity of three great pediatric dentists – and friends: Gisele, Marcia and Beatriz. And I say with certainty that another important chapter of Dentistry was written. Writing the foreword to this book “Craniofacial disorders – orofacial features and peculiarities in dental treatment” has been a reason of great joy and pride, since this is one more contribution of the Hospital for Rehabilitation of Craniofacial Anomalies of University of São Paulo, gently known as “Centrinho”, to the specialized literature. Both editors are dental professionals graduated by FOB-USP with Master and PhD degrees and are extremely dedicated professionals who, together, add up more than 50 years of contribution to clinical activities, rehabilitating and providing smiles to individuals with craniofacial anomalies, besides actively working in the Teaching and Research scopes of the institution, valuing the scientific production. The book is composed of nine chapters that bring valuable information for dentists and health professionals caring for individuals with syndromes associated with craniofacial anomalies. The book presents an update approach about Craniofacial Embryology, Concepts of Genetics, Teratogenesis, Dental Management in Rare Facial Clefts, as well as the alterations accompanying the diverse Syndromes with Orofacial Clefts, Craniosynostosis Syndromes, First Pharyngeal Arch Disorders, Syndromes with Characteristic Facies, and an approach about the Surgical Treatment in Craniofacial Malformations: Distraction Osteogenesis. Further, the HRAC-USP has a strong team working on Genetics associated with craniofacial anomalies, coordinated by the medical geneticist Dr Antonio Richieri Costa, and during 50 years of work the institution concentrates a databank that is a scientific treasure. During her PhD, Dr Gisele da Silva Dalben worked with Dr Richieri Costa, analyzing individuals with Opitz G/BBB syndrome, and has several publications in the subject of craniofacial syndromes. Since HRAC/USP is a reference center in craniofacial anomalies with participation of an interdisciplinary team, it was possible to prepare this book especially focusing the interest of dental professionals. I consider this book a precious masterpiece, which shall fill the gap currently existing in the literature, concentrating in a single work the information on dental, skeletal and craniofacial alterations in individuals with different craniofacial disorders. In 2003, the editors of this book noticed a lack of organized information about dental care for individuals with craniofacial disorders. Then, the editors performed a literature review about different craniofacial disorders and wrote an informal handout, which the editors made available in the local library. As years went by, that handout turned out to be widely borrowed and used as reference in their institution, which encouraged the editors to expand the information and transform that handout in the present ebook. The editors work as pediatric dentists in a tertiary hospital and are often challenged with a wide array of disorders, frequently facing situations in which individuals and their families must travel even days to attend the institution for accomplishment of dental procedures that could be performed by professionals at their cities of origin, if only they had a little more information about craniofacial disorders. In some international experiences, the editors observed that, worldwide, there is still a lot of misconception and disinformation about when and how to treat the different disorders present in individuals with craniofacial disorders. The organization of this book into chapters was largely based on the classic book “Syndromes of the head and neck” (Gorlin, 1990), which the editors consider fundamental for professionals who want to dive deeper into the world of craniofacial disorders. To enhance the understanding on “hows and whys”, Chapter 1 presents rich information about craniofacial embryology. This chapter was written by the eminent embryologist Kathleen K. Sulik, who describes craniofacial development in detail with the aid of amazing scanning electron micrographs of embryos, allowing the reader to travel through the stages of normal and abnormal embryonic development. Chapters 2 and 3 present basic concepts of genetics and teratology, enhancing the knowledge of readers so that they can better understand the information presented in following chapters. Chapters 4 to 8 describe the different craniofacial disorders in a similar sequence as in “Syndromes of the head and neck”, presenting the disorders with their respective etiology, systemic involvement, and peculiarities in dental treatment. All contributors in these chapters have current and/or previous clinical experience in providing dental care to individuals with craniofacial malformations, and much of the information presented in these chapters were observed in investigations conducted at the editors’ institution. Finally, in Chapter 9, the authors describe the surgical steps required for complex dentomaxillofacial reconstruction in different disorders. These surgical procedures aim at both esthetic and functional improvement, and are paramount for the thorough rehabilitation of individuals. The aim of this ebook is to be a chairside resource for clinical dentists who wish to offer dental care for individuals with craniofacial disorders. 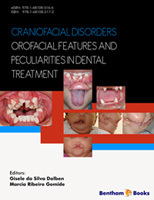 The editors’ goal, when organizing this ebook, was to enhance the knowledge of dental professionals across the world about craniofacial disorders, their orodental features and peculiarities in dental treatment, so that individuals affected by such syndromes may have increasingly better and easier access to dental care. We wish the readers all the best when assisting individuals with craniofacial malformations. We hope you will find the present information useful, and we wish you a rewarding experience in treating these individuals and watching them grow stronger and more self-reassured with your collaboration. We also wish all the best to individuals with craniofacial malformations and their families, with special consideration to those attending the editors’ institution – the Hospital for Rehabilitation of Craniofacial Anomalies, University of São Paulo at Bauru, Brazil, who were the main driving force behind this ebook, and special thanks to individuals and their families who kindly granted permission to publish their images in this ebook. This book was inspired by you, and is dedicated to you. Chapters 2 to 9 were originally written in Portuguese and translated into English by the author Gisele da Silva Dalben. Signed informed consent was obtained from all individuals whose facial photographs that allow their identification are presented in this ebook. All photographs presented in Chapter 1 belong to the files of the chapter author. Photographs presented in Chapters 2 through 9 belong to the files from respective chapter authors, from the Hospital for Rehabilitation of Craniofacial Anomalies of University of São Paulo, and from Adriano Porto Peixoto, who kindly granted access to his files.